Last summer, Russia imposed a full embargo on food imports from the European Union (as well as the U.S.) in retaliation for sanctions over Ukraine. This left authentic European food merchants in Moscow in a bit of a bind. But one Italian grocery store there, Don Giulio Salumeria, kept selling its real Italian food—and came up with a bizarre out-of-home stunt to advertise to consumers without tipping off the police. 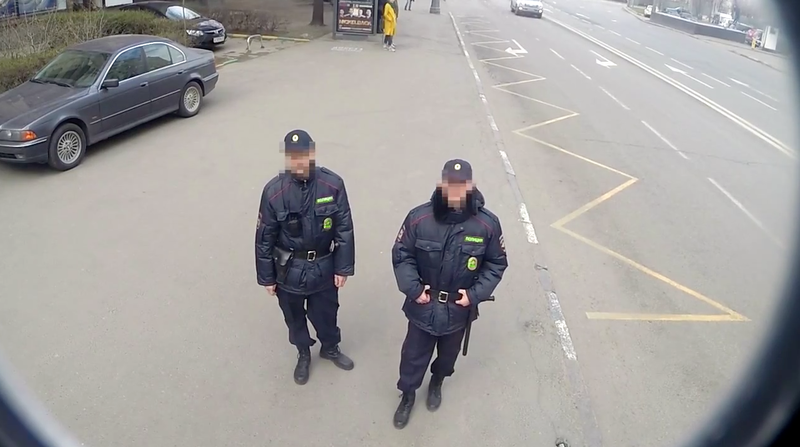 With help from agency The 23, the store developed a unique outdoor ad that could recognize police uniforms. Whenever the cops would appear, the ad would cycle out of its rotating display—in essence, physically hiding from the authorities. The agency insists this was a real stunt. If so, it is clever and amusingly weird. After emailing the case study all over the world, though, I'd think twice about answering the door when the Moscow police come knocking.